Nintendo appeared to Kisekae of 3DS of HOME menu! Tokyo Girls' Style 「Never ever」 has been added. Of course, the theme of the BGM is｢Never ever｣. ※It will move to Nintendo page. 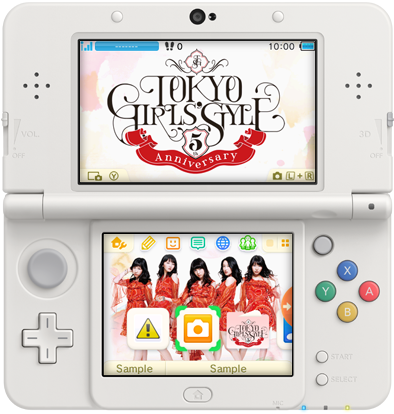 Theme of the Tokyo Girls' Style ｢Never ever」 is available for purchase in the ｢theme shop」.